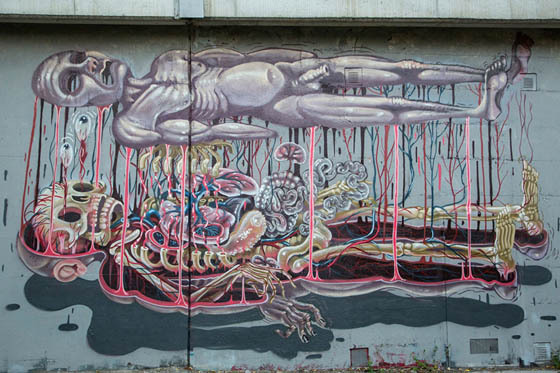 Have you ever wondered what the skeleton of a Teenage Mutant Ninja Turtle or a mermaid might look like? 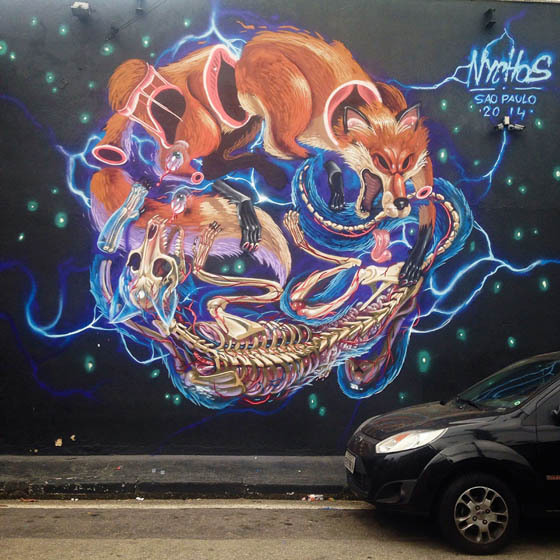 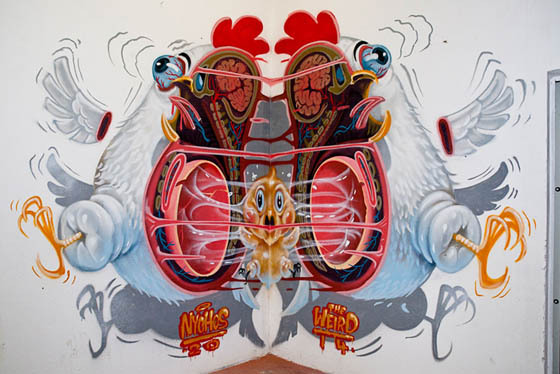 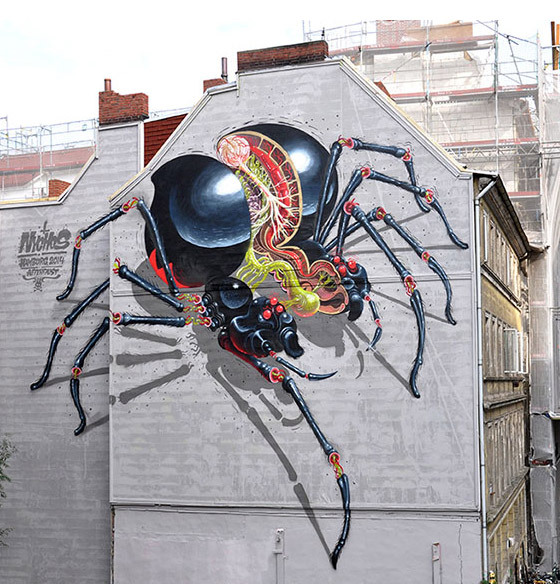 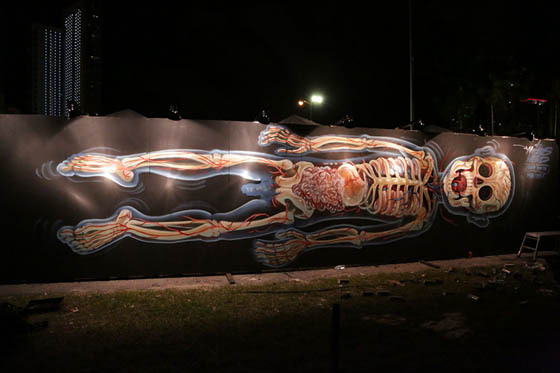 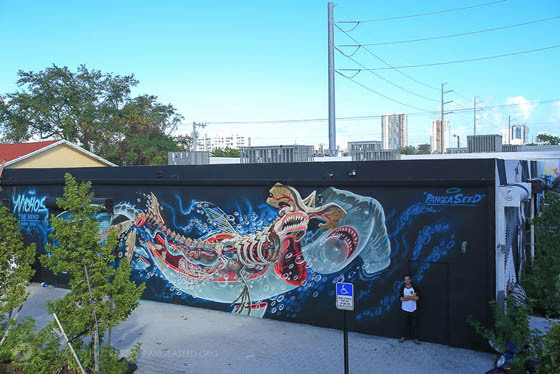 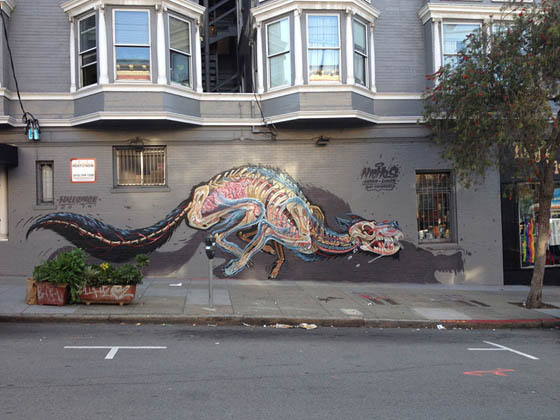 Here is the answer from Vienna-based street artist Nychos who have a fascination with anatomical diagrams and give his murals a graphic surgery. 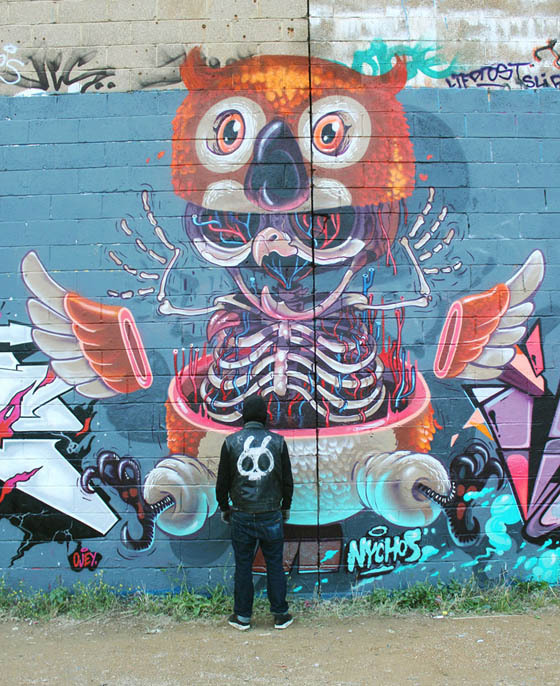 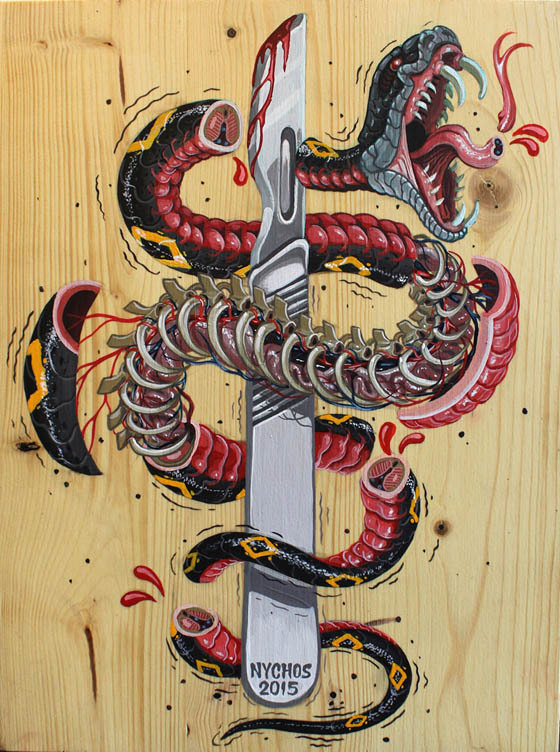 His signature style features the anatomy of his characters, layer by layer, through colorful, explosive compositions. 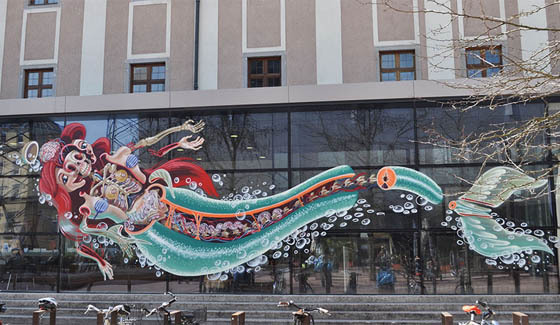 Not surre it is a pleasant experience to see these “cut open cartoon” on the street, especially for kids when those characters are their favorite ones.